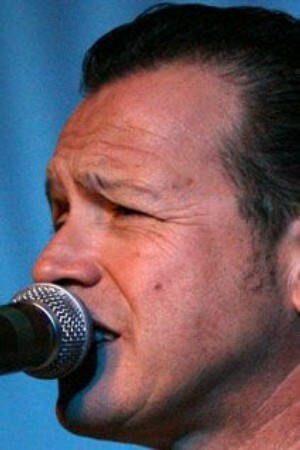 California bluesman Tommy Castro was the big winner at the 31st annual Blues Music Awards on Thursday night. Produced by the Memphis-based Blues Foundation, the awards are considered the highest honor in the blues world. The ceremony took place before a packed audience of more than 1,200 in the ballroom of the Memphis Cook Convention Center. Castro, a singer and guitarist whose music bears the strong influence of the late Memphis bluesman Albert King, took home the most trophies of the night with four, including prizes for Contemporary Blues Male Artist of the Year, Contemporary Blues Album of the Year, and the coveted B.B. King Entertainer of the Year award. He and his five-piece backing group also won the award for Band of the Year. Performances at this year's show included a mini set by traditional male artist of the year Duke Robillard and a couple of solo pieces from Piano Player of the Year Eden Brent of Greenville, Miss. An expanded preparty in the grand lobby of the convention center included performances by Best New Artist nominee Joanne Shaw and Little Rock guitarist Michael Burks. Other multiple winners included Allman Brothers guitarist Derek Trucks, who won Best Guitarist as well as the Rock Blues Album of the Year trophy for his eponymous band's release Already Free. And septuagenarian singer-guitarist Iverson "Louisiana Red" Minter won Acoustic Artist of the Year and shared the Acoustic Album honor with keyboardist David Maxwell for their collaboration You Got to Move. The recipient of perhaps the most eagerly anticipated honor on the night was already known before Thursday's sit-down banquet-style show, which was scheduled to last into the wee hours of Friday morning. Chicago blues legend Buddy Guy, the recipient of 29 Blues Music Awards over the years, received the Lifetime Achievement Award, presented to him by another fabled player, Bonnie Raitt. On Wednesday night, at a banquet at the Downtown Marriott Hotel, Raitt, a Grammy-winning artist noted for her skilled slide guitar work, was inducted into the foundation's Blues Hall of Fame. Her fellow inductees included former Memphian Charlie Musselwhite, early Memphis blues pioneers Gus Cannon and his Cannon's Jug Stompers, and another onetime Memphian, the man credited with popularizing the form in the 1920s and for whom the awards were named up until 2006, W.C. Handy. Memphis-born singer Koko Taylor, producers Jim Dickinson and Willie Mitchell, and local music promoter Dennis Brooks were also honored in the "in memoriam" portion of the show honoring members of the blues community who passed away during the past year.